Second Nature was established in Auckland by Chris Ballantyne in 1996. In 2004 Janet Clarke became joint owner, adding her business acumen to Chris’ passion for creating beautiful gardens. Today we employ around 25-30 staff. Our people include a qualified, stable team of tradesmen and horticulturists. They work hard to seamlessly translate inspired design ideas into unique built landscapes or to upgrade existing gardens. We also have an extensive stable of trusted and proven sub-contractors who provide specialist expertise to complement our in-house capabilities. Second Nature is recognised by the New Zealand landscape design industry as having the skills, knowledge and capability to build the most complex and innovative landscape designs to the highest standard. Though our largest design project to date was valued at $1.5 million, we have much experience in working on smaller garden designs or upgrades. We have won numerous industry and Ellerslie Flower Show Awards. Many of our gardens have featured in garden design books, as well as leading magazines and trade journals. Our commitment to achieving enduring quality outcomes is vital to our business practice and reputation. Guarantees and warranties are established for each project. Second Nature holds comprehensive insurance cover. We partner with Hazardco to ensure that our work practices provide a safe and healthy environment for our workers and clients alike. 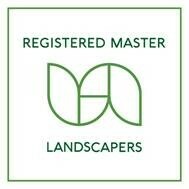 We have been a committed accredited member of Landscaping New Zealand for over 25 years. Chris Ballantyne has received a Distinguished Service Award from the organisation. Our LNZ accreditation provides assurance that our work and business practices have consistently achieved the required best practice and have adhered to the LNZ Code of Conduct. We are also long-term members and sponsors of the Native Forest Restoration Trust, as we believe that the intensively built areas of towns and cities can be softened and enhanced by supporting flourishing natural wilderness eco-systems. In addition, we support other charities by our sponsorship of The Auckland Garden DesignFest in which our gardens regularly feature. Our gardens are also featured in the Heroic Gardens tour.